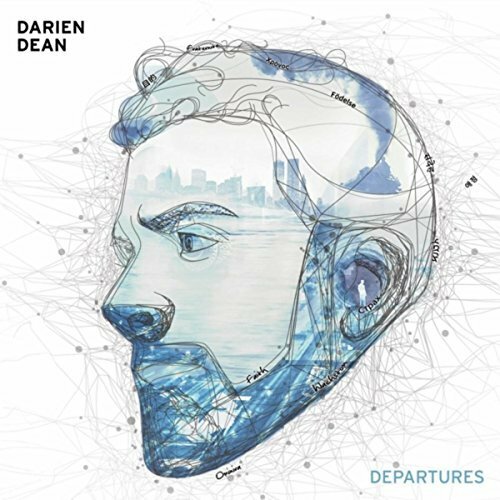 “This is grown folks music, baby, and I’m not afraid to say it,” singer-songwriter Darien Dean declares right from the outset of his stellar sophomore full-length project, Departures. The title suits an album that is a departure from the rather distressing trend of thirty- and fortysomething artists insisting on making projects 10 to 15 years their junior. In what apparently has become an act of bravery in our youth-driven, mature-avoidance industry, Dean joins the rank of premium artists making a different, dare I say a more musical, choice. Artists with gorgeously balanced and creative 2017 releases, including: Sol!, Rohey, Raúl Midón, The Baylor Project, Brian Owens and the Deacons of Soul, The Playlist featuring Glenn Lewis, and Dean’s duet partner on “Someone Is You,” the incomparable Avery*Sunshine. Best known for sweeping jazzy soul compositions like “Composure” and “All Kinds of Things” which then placed him as the heir apparent to vocalists like Peabo Bryson and Glenn Jones, Dean mixes it up more on his sophomore shot and in doing so distinguishes himself from his influences. While the groove-oriented “Find A Way” sits nicely alongside his 2009 If These Walls Could Talk standouts, his opening number, “Harmless” has more of a rustic Southern Soul feel like that of a Calvin Richardson or Tyrone Davis. On the Latin-tinged “Pieces,” with its Spanish guitar licks, Dean plays with elements of hip hop soul and Western flavors on a cut that is reflective and confessional. With its marching drums and haunting backgrounds, “All I Ask” has more militaristic sensibilities giving the anthem a larger-than-life panorama and marks an ambitious moment in the Dean catalog. The two distinctly different versions of Dean and Avery*Sunshine’s duet, “Someone Is You,” both work heavenly for soul hungry ears. The big band meets soul church first take, with its sunny lightness and easy melody, is an obvious single. The second, subtitled “Shawn’s Revenge,” keeps the infectious melody intact and surrounds it with more of a stepper’s groove that should delight Baltimore hand dancers and Chicago steppers. Along with “Harmless” and “Find A Way,” the tambourine-rattling “Someone Is You” is money in the bank for Dean and should be a crowd-pleaser for his upcoming live shows, especially if he and Ms. Sunshine can be convinced to tour their respect hot new releases together. As with Dean’s 2009 debut, not every song is a memorable knockout, such as the fairly routine smooth jazz of “Wonders” and the somewhat plodding “Pieces Reprise (One Mo’ Piece)” which adds nothing significantly valuable to its stronger original. Still, even the less impactful cuts on Departures are never less than well-crafted and musically engaging, courtesy of Dean’s lyrical astuteness, cohesive soundscapes by such producers as Herb Middleton and Shawn Hibbler, and a strong supporting cast of A-list players like Colette, Mike Phillips, Tiffany Tzelle, Queen Rose, and David P. Stephens. Collectively, they make Dean’s long-awaited follow-up worth fan’s faith in a cold purchase. With Departures being the first in the three-CD Notes from the Journey trilogy, hopefully Dean’s grown folks won’t have to wait until they’re senior folks for their next sojourn with this capable soul provider. Highly Recommended.